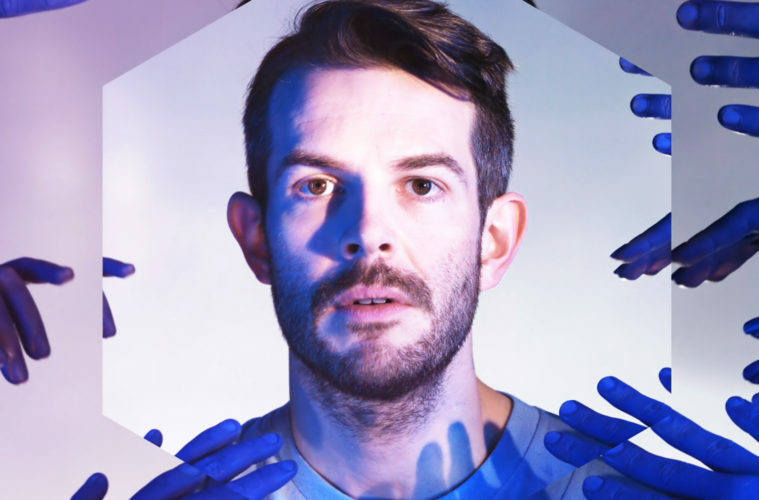 We had a chat with Bright Light Bright Light (Rod Thomas) to talk about the release of the official video for ‘Running Back To You’, his third in a triptych featuring Sir Elton John! We also discuss influences, plans for the future, and some of his many achievements in the music industry. Hi Rod! How are things? Are you excited to be back in the UK? I am! It’s always nice to be home and see some familiar faces! When did you first start taking an interest in music? I don’t ever remember not being interested in music. I can’t remember a time in my life when I wasn’t aware of songs on in the background, or singing along to a radio, TV or a song in a film on VHS (I’m that old). Who/what influences the most with the music you make? The people I surround myself with, I think. I’m much more of a storyteller than a diarist in my music, so I overhear things, or hear people’s stories and often they inspire songs. For this album ‘Choreography’ in particular though, lots of the songs were inspired by scenes and dance sequences in films that I loved growing up. Your new collaboration with Elton John ‘Running Back to You’ has been released to the world – how would you say it differs to your previous work / singles? I think it maybe has more explicit 80s nostalgia washing over it, production wise, than some of the other work of mine. It kind of revels in it as its inspired by the kind of scene in a mid to low budget 80s film where the strong female lead realises she’s still in love with the guy who treats her badly, and walks out into the rain to find him. It’s melodramatic and emotional, and I love being that! ‘Running Back to You’ is very aesthetically pleasing! Would you say the visual properties of your music videos are as important as the songs themselves? Yes. I always think of them simultaneously. Particularly for this album which is inspired by films. I worked really hard with a great team to create a triptych of videos for this record: all the artwork came from stills from the video shoot, so the artwork was very hand-in-hand with the music. What has been your biggest achievement in the music industry so far? Probably getting my album into the Billboard Top 15 (Electronic albums) and UK Top 15 (Independent Albums) through my own label. I never expected to do that much without being signed and I’m equally proud and totally shocked! What advice would you give to those trying to break into the world of music? Have fun, work hard, make music you’re proud of and that will fill you with joy performing it over and over again. It will take time to find the right people to work with, and the right audience, but if what you do is true to who you are, people will pick up on that and the journey will be challenging, but ultimately as rewarding as you let it be for you! I’m doing a charity run, running 5K every day from 20th-24th February to raise money for Pride Cymru and around that I’m always in the studio making new music and planning the next few years of songs and videos! You can check out Rod’s brand new single below!